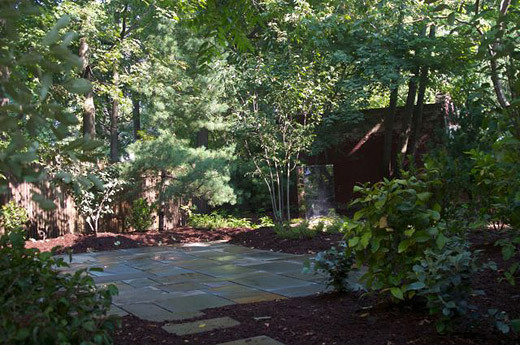 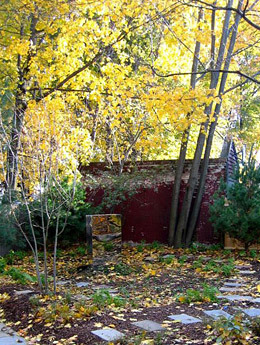 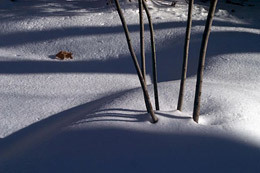 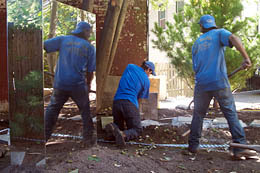 The impetus for this garden design was the owners’ acquisition of the sculpture “Mirror Stone,” created by Adam Frelin. 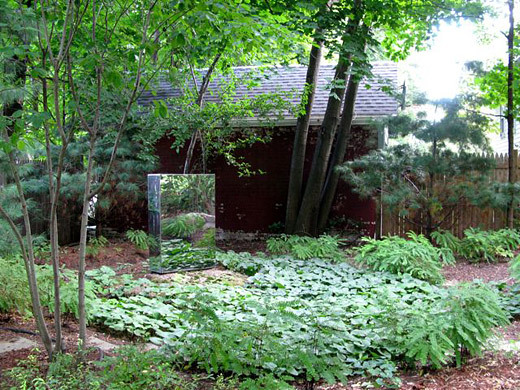 The owners wanted a setting for the reflective surfaces of this work. 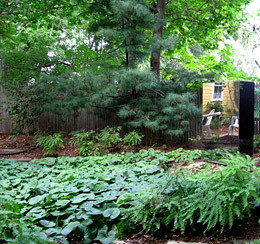 The sharp angularity of the piece suggested the shape of the garden—the golden rectangle of the adjacent garage is repeated in a raised terrace and a sunken bed of Canadian ginger. 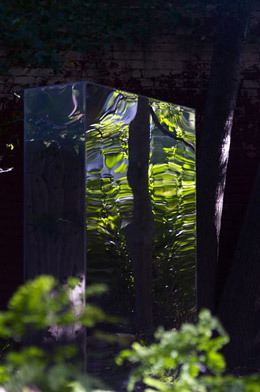 A mock-up of the piece with boxes and mirror tiles made clear that to the standing viewer, the surfaces reflect the areas within about 10′ of the sculpture. 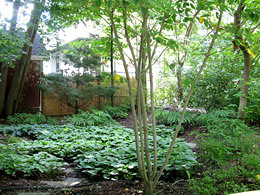 We decided to place it on a mossy mound set off center in the bed of ginger and to surround it with white pines and shade tolerant shrubs underplanted with maidenhair ferns and blueberries. 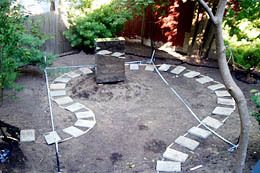 A path of bluestone stepping stones curves around the mound and through the beds, allowing viewers to appreciate the Mirror Stone from every angle.